Seriously, What Would Hoover Do? FBI Director James Comey’s decision to release an ambiguous and ill-timed update on the Bureau’s investigation into Democratic Presidential nominee Hillary Clinton’s email server situation has drawn significant public criticism. Former Justice Department officials have noted that Comey violated longstanding Justice Department policies against election season disclosures. Political critics, including many Democrats and even some Republicans have accused Comey of everything from political naiveté to Machiavellian genius for the timing and nature of his announcement. It is worth considering, though, how Hoover handled election-year politics during his 48-year tenure as director of the FBI. Would Hoover have acted as Comey did in this instance? My immediate reaction, having read hundreds of thousands of FBI documents from the Hoover era is: Probably not, at least not in a presidential campaign. Generally speaking, Hoover was exceedingly careful about allowing himself to be drawn into election year politics. 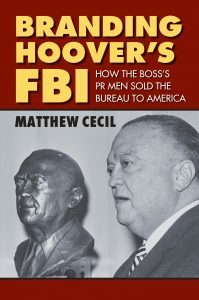 Most often, efforts to drag Hoover’s name into campaigns, usually by his friends in Congress as evidence of their anti-communist credentials, were spurned by the FBI through its public relations officials. I can think of one specific instance, however, where Hoover allowed his political capital to be used in an election campaign. Hoover, in a letter written by his politically savvy public relations aide Deke DeLoach (see my book, Branding Hoover’s FBI, for more about DeLoach’s political machinations), named Mundt and three others while lamely qualifying the response by stating there were many others in Congress who were experienced in anti-communist matters. Hoover’s response was repackaged by the Argus Leader and by Mundt’s campaign in a newspaper advertisement, as an “endorsement” of Mundt. 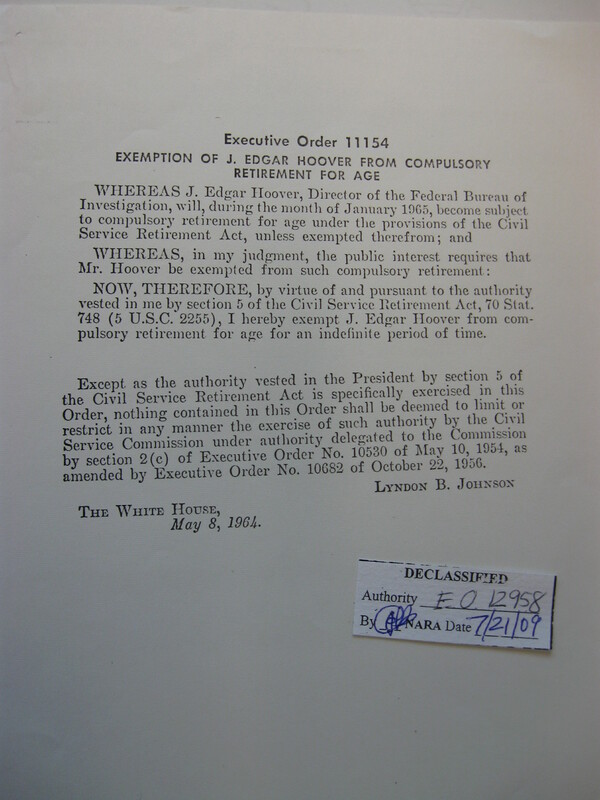 The Argus Leader published Hoover’s letter in full, including the qualifying statement. Mundt’s advertisement left that part out. Did Hoover understand he was assisting Mundt’s re-election? Probably, although my reading of thousands of FBI files has convinced me that Hoover was often unaware of basic context of the memoranda he read and letters he signed. The impact of DeLoach’s carefully-worded letter was certainly enhanced by the way it was interpreted and packaged by a helpful newspaper editor and by Mundt’s campaign. 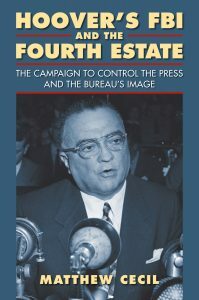 Hoover was very cautious about public relations matters, and he was subjected to some criticism after the pro-Mundt ad ran, criticism the FBI did not take lightly. I wish there was more clarity in the files. The Mundt file includes one memorandum suggesting that the FBI (DeLoach, anyway) was aware that Mundt was facing a difficult re-election campaign. Hoover certainly couldn’t have been surprised that his quote was used in a Mundt campaign advertisement. But there’s no indication that the Bureau orchestrated the “endorsement,” or that it knew Mundt would use the quote in an advertisement. Mundt won reelection in 1960 by a mere 15,000 votes and ultimately retired in 1973, although he suffered a stroke in 1969 and did not attend any Senate sessions during his last several years in office. The many FBI files I have seen suggest that Hoover, for the most part, stayed out of political campaigns, at least publicly. Bureau public relations officials, in most cases, discouraged efforts to use Hoover’s image or words in campaigns. And in the case of Mundt’s campaign, the careful wording of the Bureau’s response to Christopherson’s letter demonstrates how cautious the Director was on those rare occasions when he did intervene publicly in election-year politics. So what does this all mean for James Comey? I’m afraid Comey comes out looking bad no matter how one evaluates the precedent set by Hoover. 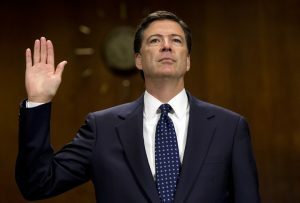 If Comey was merely acting as Hoover sometimes did to influence elections, he was parroting the actions of the most discredited figure in FBI history. If he was acting beyond the cautious precedent set by Hoover, Comey was exceeding even the discredited Hoover’s Machiavellian tendencies. Either way, history provides little help for James Comey, whose enduring legacy will likely be shaped by the interpretation of this one event. Dr. Matthew Cecil is the Dean of the College of Arts & Humanities at Minnesota State University – Mankato. 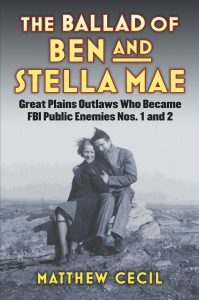 He has published three books with the University Press of Kansas, The Ballad of Ben and Stella Mae, Branding Hoover’s FBI and Hoover’s FBI and the Fourth Estate.